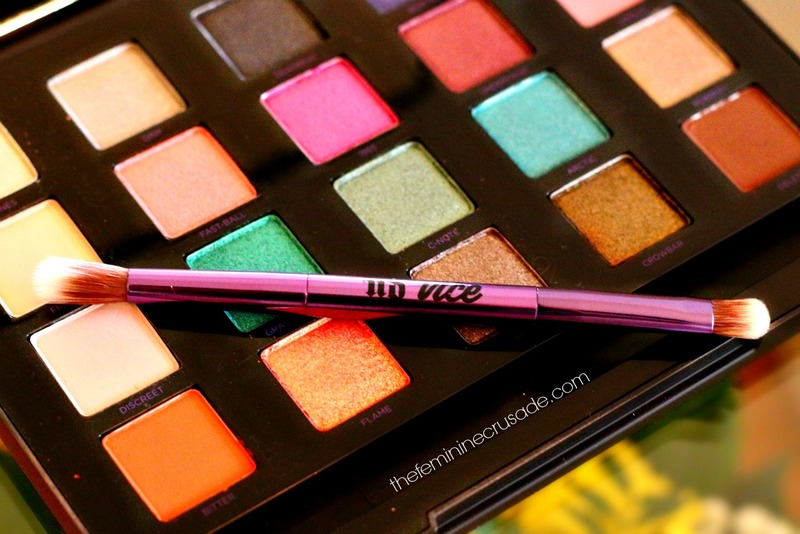 We loaded Vice4 with 20 addictively gorgeous, never-before-seen shades of our iconic Eyeshadow. 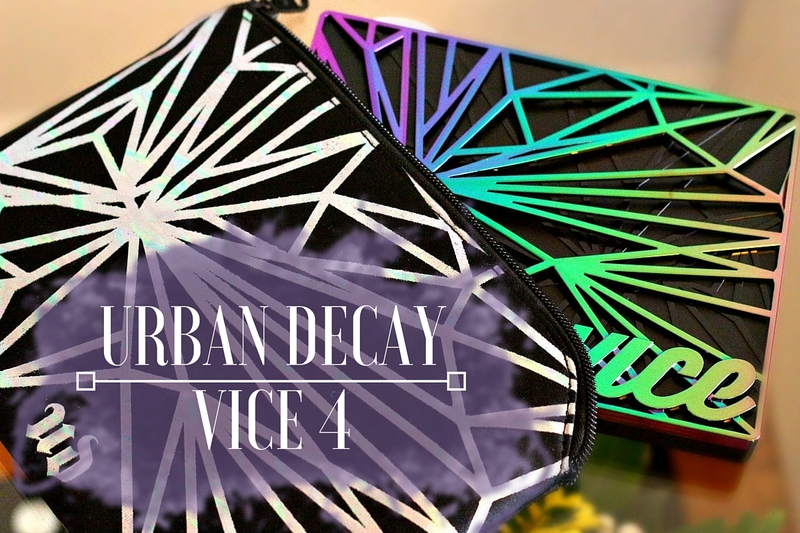 Vice4 features a stunning array of colors and a wide range of finishes, from buttery-smooth mattes and shimmering metallics to shades laced with micro-glitter. Every shade features our Pigment Infusion System™, a proprietary blend of ingredients for rich, velvety, blendable color that lasts (and sparkle that doesn’t fall). This limited-edition palette even includes a huge mirror, a double-ended brush and a coordinating bag. And unlike most sequels, Vice4 will keep you hooked and coming back for more. Lo and behold, the stunning Vice 4. Ever since I have had it, I have been mesmerized with its multi-dimensional metallic packaging. It is so much more gorgeous in real life. And this particular Vice edition also comes with a bag of its own, a great way to keep the palette protected. And included is a dual shadow/crease brush and a gigantic mirror. 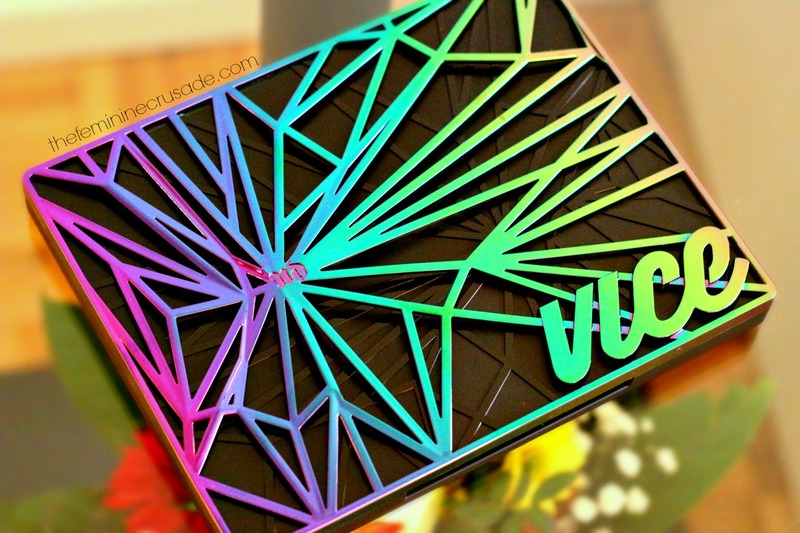 Vice 4 is a perfect blend of 20 glittery and matte jewel tones. 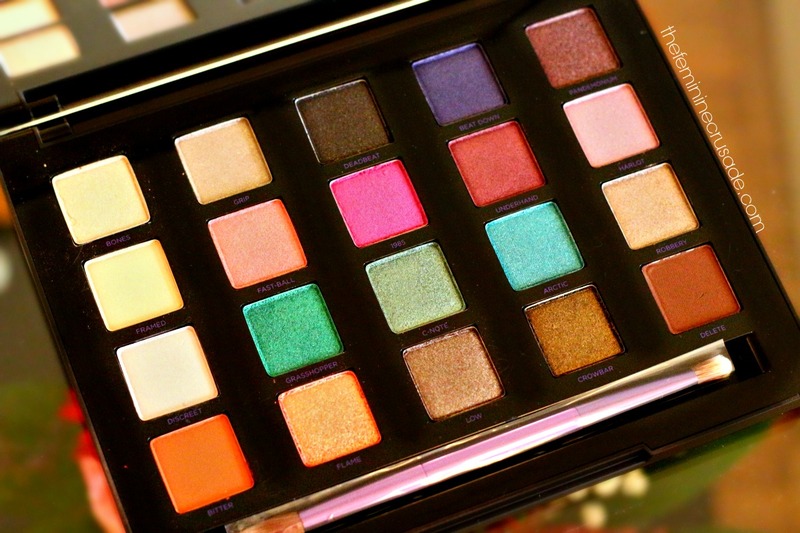 Can you believe this is my first ever Urban Decay palette? Because before this I have never been drawn to any, the Nakeds were just too everyday for me and the colourful did not have the right blend of shades. 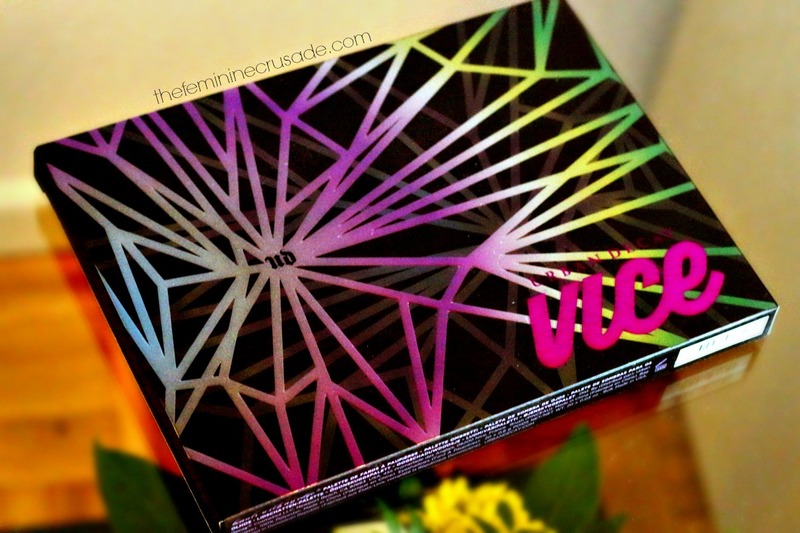 The moment I set eyes on Vice 4, I knew I was going to get the most out of each shade. 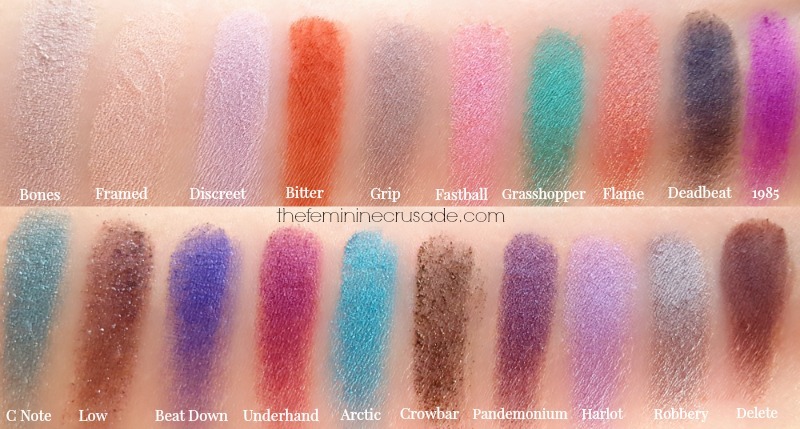 Most of the mattes are very impressive. I love how buttery and smooth they are. My favourites are definitely Bitter and Delete. As for the metallic & glittery eyeshadows the quality is a mix. Some like Grasshopper and Robbery are beautiful. But others like Grip and Crowbar have quite a fall out during application and do not sit so well. I did find some of the shades lacking in pigmentation or being slightly powdery, so the formula is definitely not spot on for each eyeshadow. They work best over a sticky primer, not only does it make the colours pop but makes the glittery ones adhere better as well. I have worn them without a primer as well and can happily say that at least they do last well on the lids.